The Texas Horsemen’s Benevolent and Protective Association (THBPA) recently concluded its annual Board of Directors election. THBPA members were selecting two owner and one trainer representatives. Incumbant owners Dr. Tommy Hays and Jim Helzer were re-elected to another term. 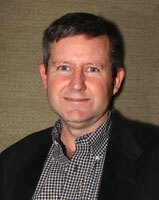 Incumbent Guy Hopkins was re-elected in the trainer category to receive another term on the THBPA Board. The THBPA’s 2010 officers, as well as the organization’s representatives for the Texas Horsemen’s Partnership Management Committee, will be selected at its next Board of Directors meeting.